For the official cooperation program of transmediale 2019, Import Projects presents four evenings of lecture-performance, installation, spoken-word performance, discussion, voice & instrumental improvisation, film screening and participatory intervention in dialogue with the festival key question ‘What Moves You?’—referring not only to an emotional response but also to the infrastructures and aesthetics that govern how affect becomes mobilised as a political force today. 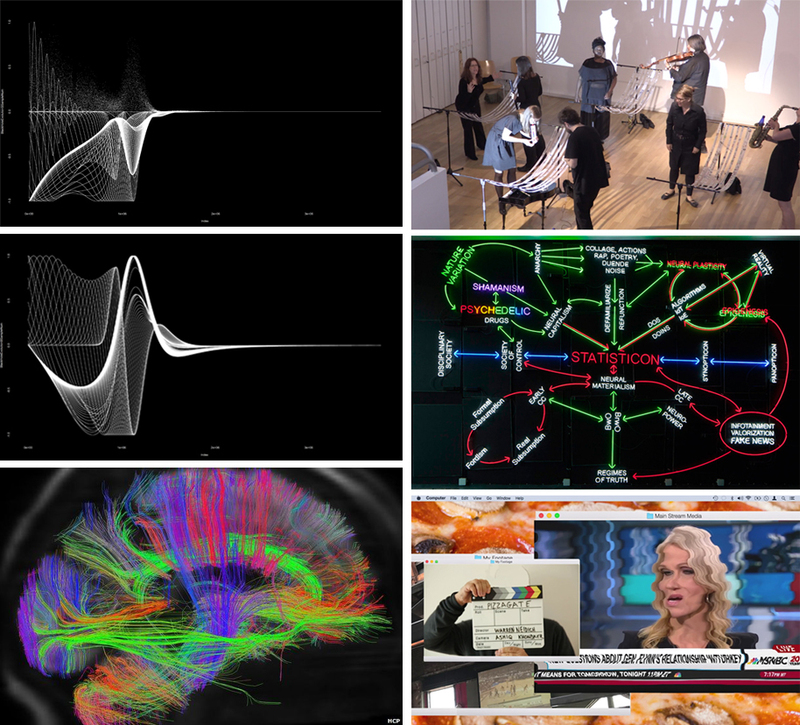 Foregrounding the continuum which links rare-earth elements, raw materials, hardware, software, and even cognition, the event series Scaling Connections turns around the blurred boundaries between organic and inorganic, intelligence, artifice, art, and resistance. SCALING CONNECTIONS draws from Deep History reminding us to constantly observe reasoning commonly internalised and conducted according to strict principles of validity, an appeal not only for viewing natural history and that of human culture but also for seeing our cognitive and psychological history. A critical debate over the last decades has stimulated sensitisation for interdisciplinary research and further historical interpretations, for instance focusing on trends and processes, drawing attention to connections and traditions and a shared substance, like deep kinship, able to reveal striking transformations in human perception. Revolutionary links of deep historical influences on our brain have been stressed by historian Daniel Lord Smail who advocates for bringing neuroscience, neurobiology and generally more disciplines into the realm of history. He appeals to resurrect the basis of humanity by scaling up from the molecular to the molar without the anthropomorphic bias and in its process decentering humankind's position, a provocative thesis regarding the significance of the long-term past and our evolved neurochemistry. Such demand for renegotiating through a deep historical rendering of existing belief systems translates through groundbreaking and procreative propositions like the iron-sulfur world hypothesis or the primordial sandwich proposed by the chemist Günter Wächtershäuser in 1988, fostering surprising connections and an all-encompassing perception. A cooperation between transmediale and Import Projects. Supported by the Senate Department for Culture and Europe. Cognitive Scientist & AI researcher, MIT Media Lab & Harvard Program for Evolutionary Dynamics/ focus Cognitive Architectures, Computation, From Artificial Intelligence to Artificial Consciousness The goal is integrity, not conformity. Visual artist, researcher, musical teacher and board member of the Experimental Orchestra of Indigenous Instruments (OEIN) focus on expressive forms of Bolivian indigenous traditions, especially music and textiles, strongly influence her creative work. Musician and composer of experimental music, part of many bands and ensembles such as: The Pitch, Konzert Minimal, DNK Ensemble, The Lucio Capece Trio, And / In, Post-Music, Mammoth, and The New Silence.